#1 - I Turn On the Pump, But No Espresso Comes Out. #2 - Why Is the Espresso Coming Out Too Fast or Too Slow? #3 - What Is Making My Espresso Taste Sour? #4 - What Is Making My Espresso Taste Bitter? #5 - When I Turn On the Pump, It Makes a Loud Noise. #6 - How Do I Adjust My Machine’s Steam Boiler Temperature? #7 - Do I Need to Clean My Steam Wand After Every Use? #8 - Why Are There Coffee Grounds in My Cup After Brewing? #9 - My Water Tank Is Full, But The Water Tank Empty Light Is On. #10 - There Is Dirty Water Under My Machine. Espresso machines need a little attention sometimes. It happens to all of us, from time to time, when our espresso machines start behaving differently. You might find that your coffee tastes slightly off, or your machine makes a weird sound, or maybe it just stops working completely. While this might provide you with some frustration, and a bit of inconvenience, there is no need to go straight into panic mode. From one coffee enthusiast to another, this guide will give you troubleshooting steps for many of the issues you may encounter with your espresso machine, and get it back to peak performance as fast as possible. There are several things you should check to figure out what is keeping your machine from producing espresso. Start by simply making sure your reservoir has water in it. If you are using a tank-less machine, which receives water straight from your water system, make sure the water is turned on. When using a machine with a boiler, you may just need to prime the pump, to put water into the boiler. The coffee, itself, could be blocking the water from making it through. This is caused by having too much coffee in the filter, or using coffee that is ground so finely the density does not allow for water flow, or tamping that is too firm. The pump may be clogged, altogether.  Descaling is a process that should be done about once a month, but if you are not able to get espresso to come out of your machine, you may want to try running through a descaling process. This will clear any mineral deposits that could be stuck in the pump. One last thing to check is the screen inside the group head. Coffee can build up on this screen, so remove it, by unscrewing the screw, and give it a thorough cleaning. When the espresso comes out too quickly, it can cause the coffee to have no, or only a small amount of crema on top, and to be too watery. You need to see if the grounds are too spaced out. Coffee that is ground too coarsely leaves too much space in between them. That makes the water just flow through without taking the coffee with it, into the cup. The freshness of the coffee will also determine how fast the water goes through the grounds. It is a best practice to use grounds that have just been through the grinder. Make sure that the grounds look evened out in the filter basket, and they are tamped to a strong enough pressure. Also, make sure there are enough grounds in the portafilter. If the espresso is coming out too slowly, your coffee could taste bitter. You might also notice a burnt smell and taste. So, now we have the opposite problem, and we need to figure out how to open up the flow of water through the coffee grounds. Slow espresso flow could be indicative of a pump issue. There needs to be enough pressure in the pump to provide the power needed to push the water through the grounds fast enough. The pump may not be getting enough water flow, or it could be defective. You may have added too much coffee to the portafilter. The screen in the group head should be checked for residue. If it needs cleaning, remove it and clean it. Opposite of above, you may have tamped the coffee too much. Finally, your grounds may have been ground too much. The coffee grounds will be too dense for the water to get through very well, so the slow moving water causes over - flavoring of the espresso. Coffee that tastes sour could be due to the, naturally occurring, Tannic acid that is in coffee beans. You can address this taste, sometimes, by “de-gassing” your coffee. Letting your coffee sit for a couple of days, aging, can help with the sour taste. Also, you might need to adjust your brewing temperature. Optimum temperatures for your machine are above 201.2 degrees Fahrenheit. The cooler water could be giving your espresso the sour taste. Last, under-extracting the coffee could be making it taste sour because you are getting mostly the Tannic acid flavor, rather than the coffee, itself. Your grounds may be too coarse, so try grinding them finer. Bitter tasting coffee is usually due to just a few different things, making it easy to find the cause and fix it. Check your brewing temperature for this problem, as well. You may have it set too high. Make sure your machine’s temperature is no higher than 204.8 degrees Fahrenheit. Over-extracting your grounds could be the problem. You can fix this by using grounds that have been more coarsely ground. Using equipment that is not cleaned regularly could be the cause of the bitter taste, also. It is a good idea to be clearing residue, and wiping things down, as needed, throughout the day. Make sure you are keeping up on your machine’s recommended cleaning and maintenance schedules. Pumps are meant to have water flow. If the pump in your espresso machine makes a loud noise when you turn it on, check to make sure that the reservoir is full, or that the water is turned on for machine’s with direct water sources. It could be that your grounds are too coarse, letting water flow too quickly. Try using more finely ground coffee. The boiler in boiler machines should have water in it too, so check if you need to prime the pump to put water into the boiler. Adjusting the steam boiler temperature is done through the pressurestat. the CEME pressurestat, the Sirai pressurestat, and the MA-TER pressurestat. To change the setting, you must first, find the screw which makes the adjustment. The Sirai and the MA-TER both, have a large center screw, only. The CEME has the large center screw, but also has a smaller screw that is off to the side more. Make sure to only use the large center screws. Figure out which direction increases the pressure, and which direction decreases the pressure. This can be different in different machines, and different versions. For a MA-TER or CEME, adjust little-by-little, about the size of 5 minutes on a clock face. For a Sirai, turn the screw a half turn at a time. This is the same as 0.1 bar. If you need to make more adjustments, check the setting first. Make sure the adjustment has taken before making any more. The indicator light for the heating element will light up when the point is reached for the pressurestat “on” setting. Make sure to account for the way the readings occur on the pressurestat. They will be a little above, and a little below the lowest point on the gauge, and the highest point on the gauge. This is because once the heating element turns on, the pressure will fall below the lowest setting, and once the heating element turns off, the pressure will climb above the highest setting, momentarily. If you do not clean the steam wand each time you use it, you could find that it stops working properly. What happens is the milk from the espresso drink you are making dries up inside the steam wand. That causes the wand to become clogged. If this occurs, you need to remove the wand, take it apart, and give it a good cleaning. By running a little water through your wand, and wiping it down with a clean, damp cloth, after each use, you can avoid having to take the wand apart to clean out a clog. Other things that can cause your steam wand to stop working right are, calcification in the elements or boiler, which means you need to descale your machine, or the steam mode may not be turned on. You love coffee, but who wants to drink the grounds? Not you. Here is what you should do to avoid grounds in your coffee. Check your filter baskets. If there are any dents, you need to replace those. 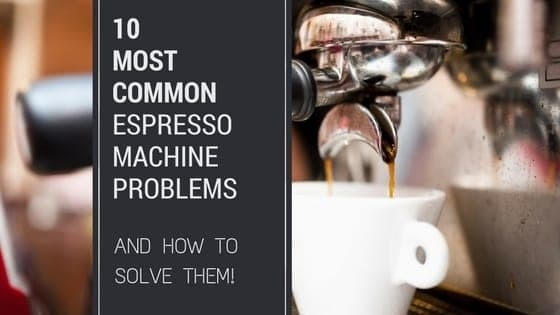 Your espresso machine works off of pressure, and a dented filter basket will not be able to hold the pressure needed to brew the espresso properly. Also, check the group seals. These do not last forever. They have to be replaced sometimes, usually about yearly. Yours may be worn out. The group seals need to be cleaned off with a brush between uses too. If there are grounds on the rim of the filter basket, your machine will not seal properly for brewing, causing grounds to end up in your cup of espresso. This should be a simple fix. Most water tanks have a floater that is magnetic in them. The floater indicates when the water tank is empty by its position in the tank. It senses when it is in the bottom of the tank. The magnetic floater can get stuck in the bottom of the tank sometimes. Make sure this is not the case. If it is stuck, clean the floater, as well as, the inside of the tank, to ensure it does not get stuck again. Also, clear away any coffee grounds, or calcification that you see anywhere in the water tank. Water under your machine, most of the times, means there is just a leak somewhere and you need to find it. Dirty water under your machine means something else. Espresso machines have drain hoses or some sort of outlet for drainage. If you are finding dirty water under or around your machine, it is likely that your drain hose or outlet is being blocked somehow. Check the end of the drain hose to make sure it is not crammed up into the drain destination, or if you have the hose in a bucket, ensure that the end of the hose is not in the water. Also, make sure the hose is not kinked anywhere, or that nothing is sitting on the hose, stopping the drainage flow. Espresso machines have a lot of working parts that help produce that delicious elixir, we coffee-lovers crave. It is important to keep up with the regular cleaning and maintenance that the manufacturer suggests for your specific machine. Even in doing this though, you are sure to encounter some problems with your chosen espresso maker. Most of the issues are due to something simple and easy to fix, if you just know what to look for. If you have any other helpful hints, or just thoughts you would like to share on this topic, please share with us all in the comments section. As always, we welcome your suggestions and any feedback!